Antigua is the largest of the British Leeward Islands in the eastern Caribbean, south of St Kitts and St Martin. Some of the beaches here are exactly what seasoned best beach holiday travellers are looking for - powdery white sand, swaying palms in a tropical breeze and beautiful turquoise water with not too many people around. 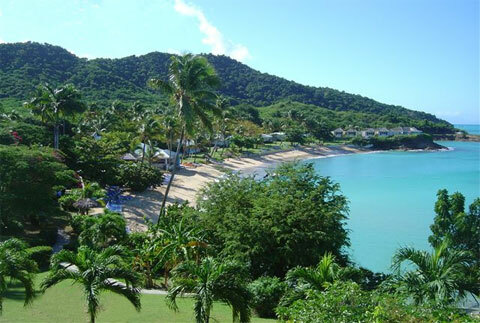 Some of the famous beaches here are Galley Bay, Runaway Bay and Hawksbill Bay, with its resort below. If you want a relaxed beach holiday or a romantic getaway, the Galley Bay Resort or Hawksbill Bay Resort are the places to be. 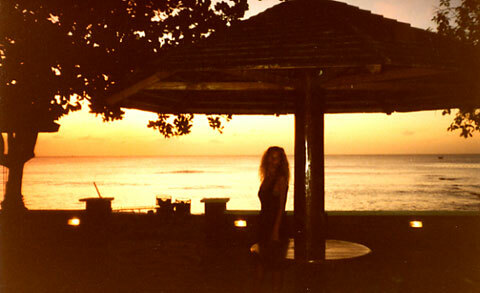 If you want that Robinson Crusoe experience where you walk out of your beach bungalow onto a white sandy stretch of coast that still has the facilities you need, try Runaway Bay. Antigua is full of secluded, white sandy beaches that aren't yet overrun by tourists because many of the winding coastal roads are small. And the coral reefs that were once the bane of the British sailors are now embraced by snorkellers and scuba divers from all over the world because of their myriad of colourful fish. The pretty little nearby island of Barbuda is home to one of the Caribbean's best bird sanctuaries after a history of shipwrecks and the scavenger hunts that followed. You'll find a lot of Brits on holiday in Antigua because Queen Elizabeth is still the official head of state. The long English history here started with Admiral Horatio Nelson sailing in to Antigua back in 1784 to establish Britain's most important Caribbean base. The famous English Harbour is still here today, the site of many a British man-of-war sheltering from fierce winds as well as fierce opponents. Today, those ships have been replaced by some of the world's leading yachts in the famous annual regatta known as Antigua Sailing Week. Antigua was actually discovered by accident in 1493 by the great Christopher Columbus, and the legend is that he named Antigua after a church in Spain called Santa Maria la Antigua. Parts of Antigua are a little run down, but Antigua really has some the best beaches in the world. Find Runaway Bay and stay in one of the reasonably priced bungalows - accommodation near the beach on a Caribbean island with an experience you’ll remember.